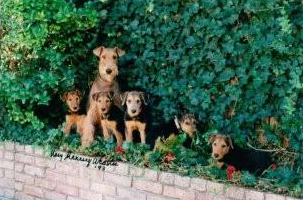 Annie was a wonderful loyal companion for twelve and a half years. Her fabulous temperament made her a lover of parties and house guests. 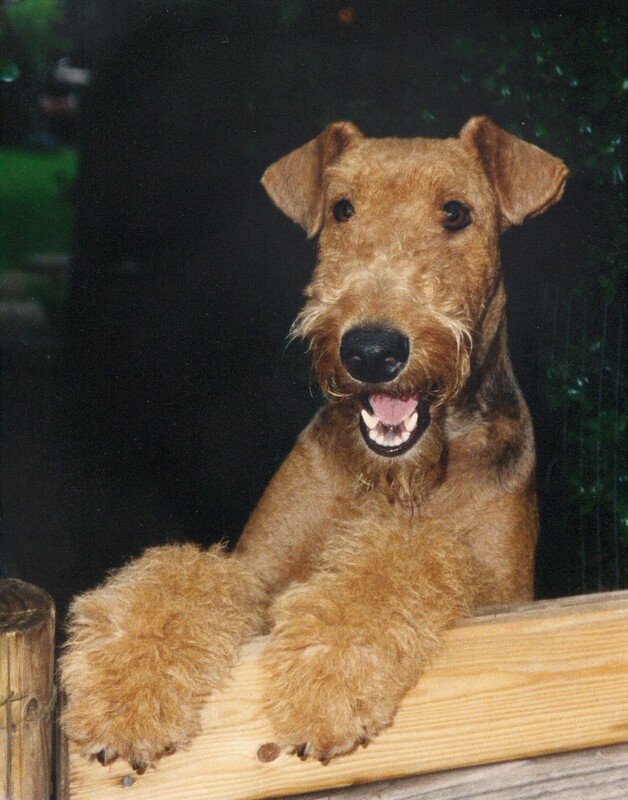 She was a therapy dog with Paws Across Texas for five years and the model for the Biogroom Shampoo Label. 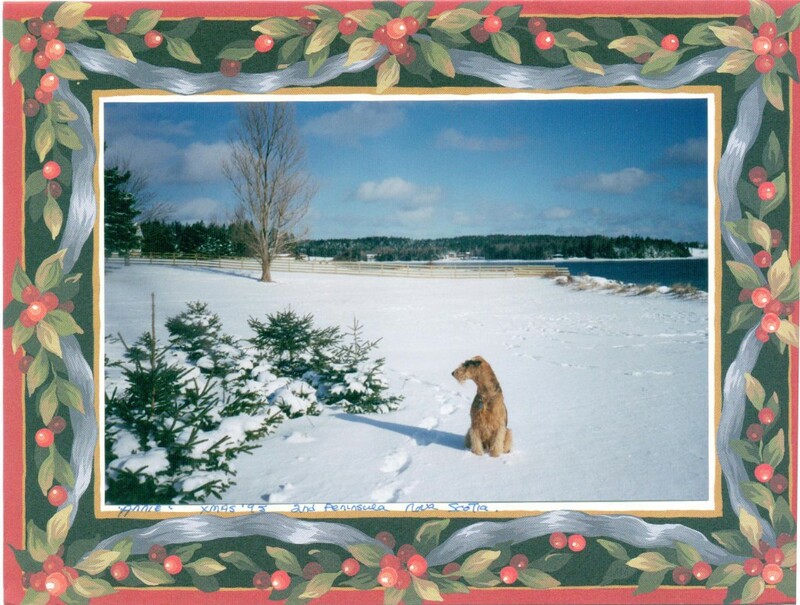 A regular in the Penaire Christmas Cards for many years. 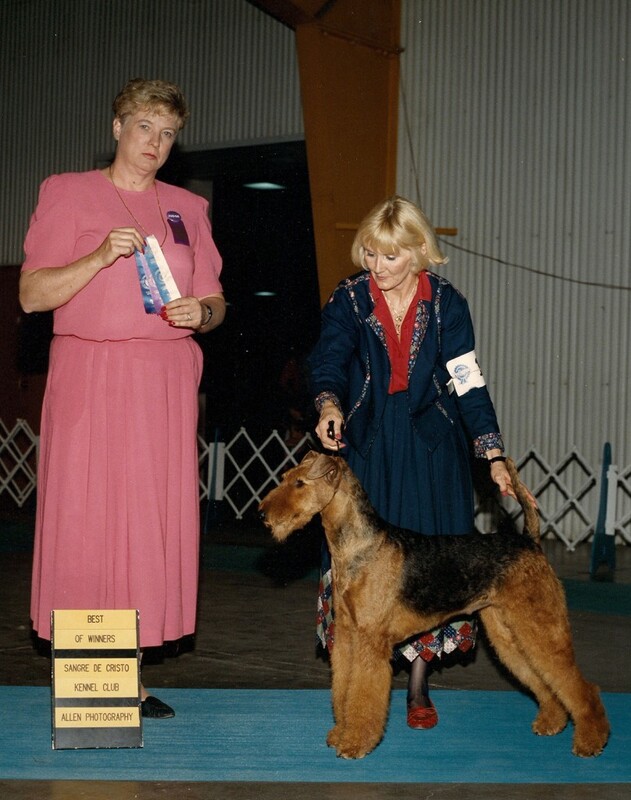 This entry was posted in Airedales and tagged Airedale, Annie, Penaire Lady of Briggsdale by Penaire. Bookmark the permalink.